> News > Uncategorized > Spread Eagle open! 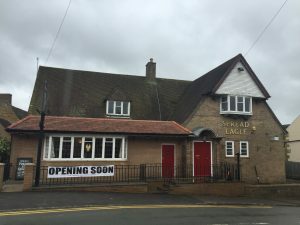 The Spread Eagle pub is now OPEN offering lagers and bitters along with traditional ales, a range of wines and specialty gins. 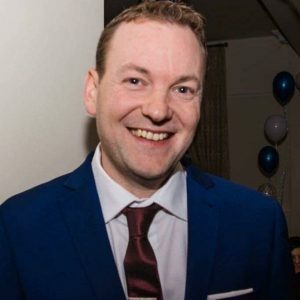 They are also serving a menu of hearty, home made pub food including lasagne, lamb shanks, burgers, steaks, pizzas and jacket potatoes, as well as light bites for the afternoons. From Thursday 26 April, the Spread will be putting on a Thursday night quiz starting at 8pm, with a round of drinks at half time for the half time leader, and cash prizes! The cost is £1 per team member. New landlord Rob Wainde (pictured above) is also opening up the pub’s car park for use by customers of the Village Store and Cafe during the day.